Exactly the thing I was looking for. Thanks a lot for posting it on SCN. Just had one request for suggestion before i jump start on this . 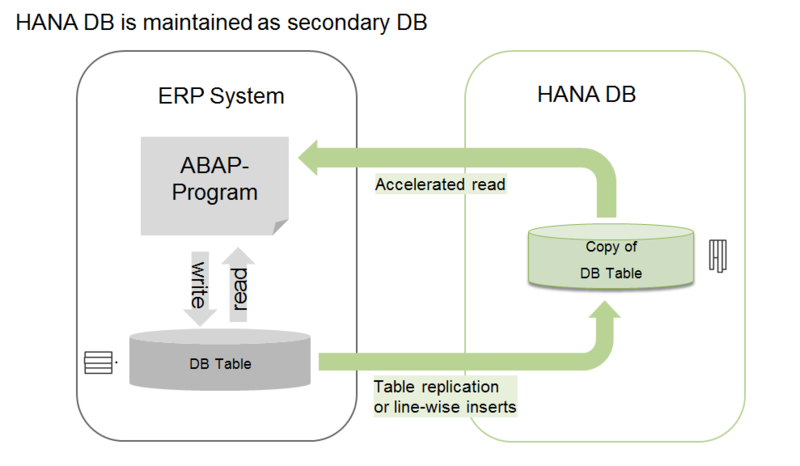 As mentioned in your blog you have installed both ABAP and HANA Express locally on your laptop – was wondering about the configuration of your laptop. I have a laptop that has 16GB RAM, 500GB SSD and i7 processor. 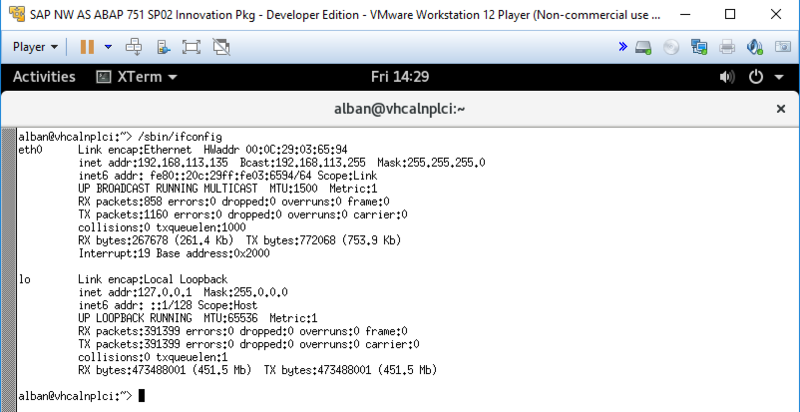 I have already installed HANA Express Server + Application on VMWare and it’s working fine. Now if I go ahead and install ABAP trial version on the same system. I fear about the HANA Server – not sure if all the services on HANA Server will start or not. Do you think I should install HANA Express Server only instead of HANA Server + Application and ABAP trial on my laptop. Any suggestions before I go ahead trying the combinations? 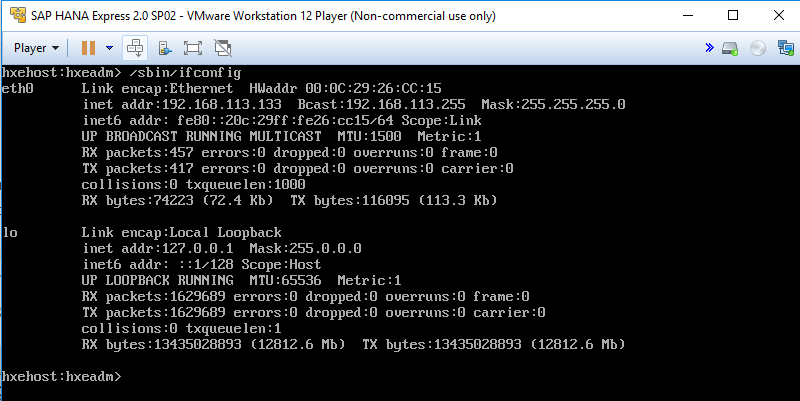 I have tried running both instances in the past on a laptop with only 16GB of RAMs and it didn’t turn out so well. I tried allocating 8GB over to HANA Express VM and 4GB over to ABAP VM and performance was just super slow till the point that everything was timing out. Right now, I have upgraded to a laptop with 32GB of RAMs and I allocate 16GB over to HANA Express VM and 8GB over to the ABAP Trial VM with 8GB left for Windows. It is MUCH better! So, I would recommend that you only try the above if you have 32GB of RAMs on either a desktop / laptop. Thanks Alban for the prompt response. 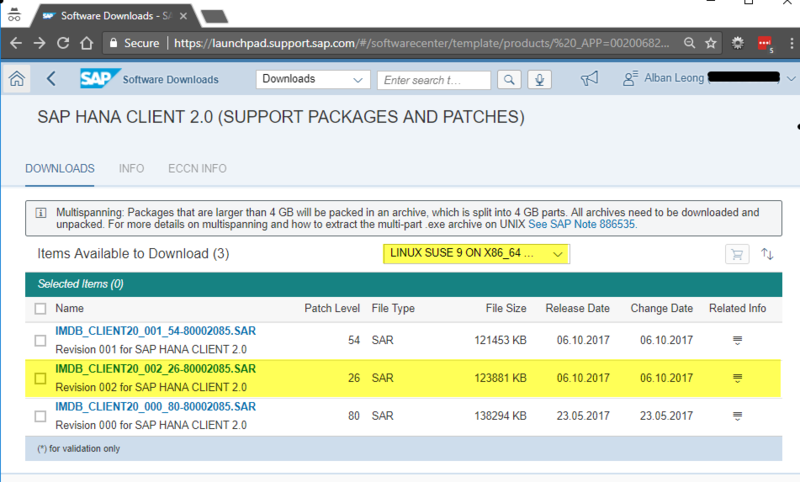 Could you please share with me which Suse Linux release you used for your AS ABAP server and what is the Hana Client release you used (is it the yellow one highlighted in your download box)? I’m not sure if your error is because you’re trying to put both the HANA Express and ABAP trial servers on the same instance (it might be possible) but that’s not what I’ve done in my set up. 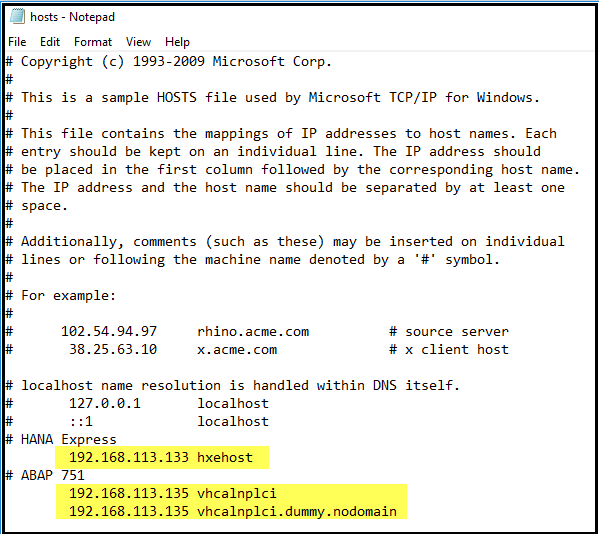 As explained below, I had two separate VMs running and I installed them following the instructions to the blogs I’ve shared which should be pretty clear in terms of getting either a HANA Express VM set up or an ABAP Trial VM set up. Okay – I’m sorry if I weren’t clear in my post above but I have two separate virtual machines running on the same laptop. I have 32GB of physical RAMs on my laptop and I assigned 16GB over to the HANA express VM and 8GB of RAM over to the ABAP VM which leaves 8GB for Windows. 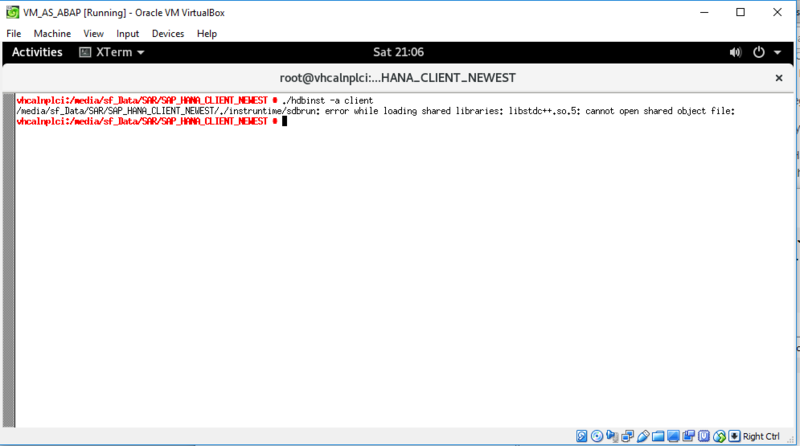 Issue for me is that when I am trying to install Hana Client on the Suse Linux running AS ABAP, I am getting C++ library error which I mentioned above. So I was thinking perhaps it is because the Hana Client is referring to some libraries which are only available on earlier Suse Linux versions. The Suse Linux which I installed for AS ABAP is Suse Linux Leap 42.3. If you could tell me which release / version of Suse Linux you used to run AS ABAP server AND what Hana Client you downloaded from Service market place. I will use the same to avoid this error. Sure thing. 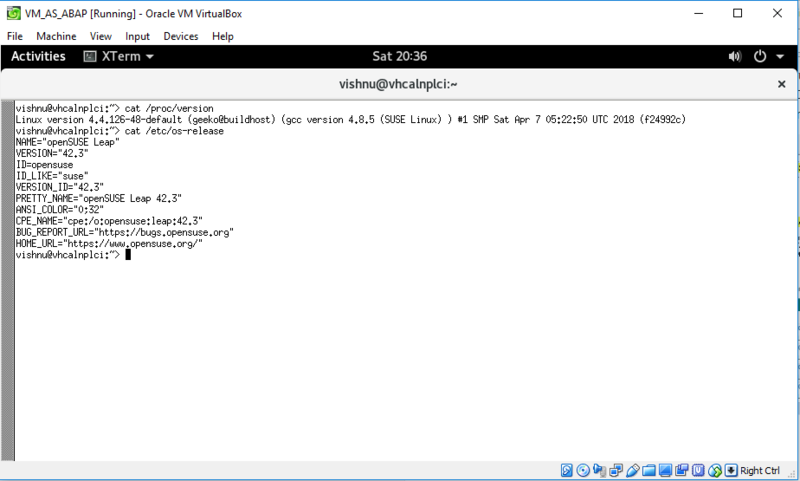 I am running openSUSE Leap 42.3 as well for my ABAP server and this is the latest HANA CLIENT 2.0 revision – LINUX SUSE 9 on X86_64 64BIT that I see available for download right now. You should not have any issues with it. Thank you Alban! I will try and revert back.. Thank you very much for taking time to hep me! Download SAPCAR, kernel 7.21 EXT from SAP service marketplace and copy it to folder DVD_CLIENT/CLIENT_LINUXX86_64 . For installing Legacy Modules, SUSE Enterprise subscription is needed. No issues, if that is asking too much! I do hope this works. When I get a break, I’ll try to set up a new box and see if I run into the same issue. 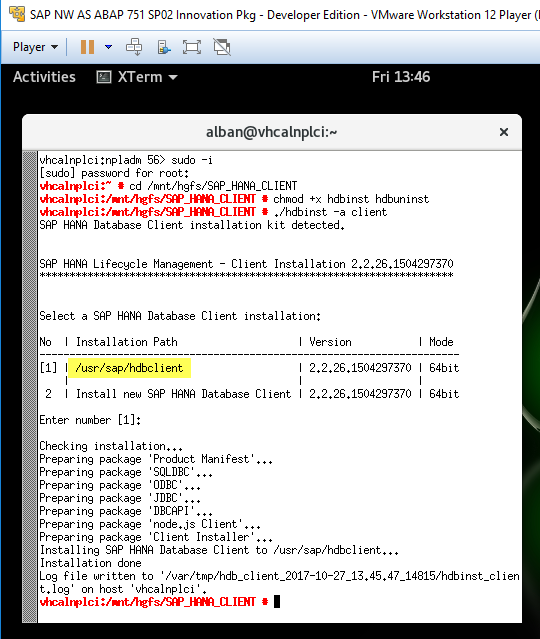 After the above rpm installation, the “hdbinst -a client” command to install the HANA client should work. Vishnu Tallapragada sorry for the late response but a big thank you for taking the time to come back and give and update on what you did to solve the issue. It is much appreciated and I’m glad you managed to get it to work! Alban, thank you very much for making time and trying to help me out! 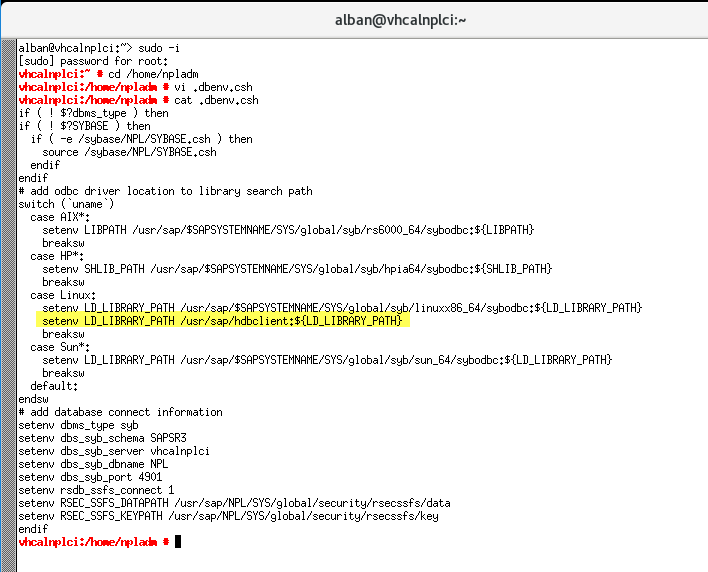 I am able to logon to the AS ABAP server through both Eclipse and SAP GUI. 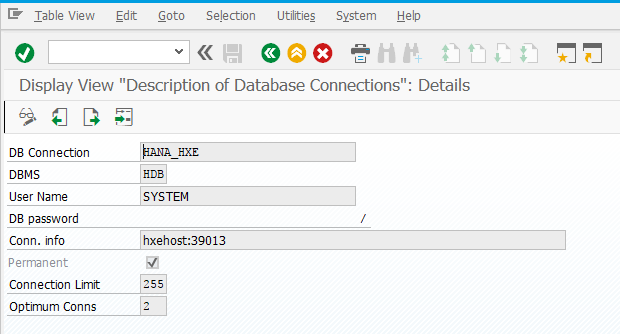 I am also able to connect and login to Hana Express edition through Eclipse after downloading the tools.